Show all the moms in your life how much you care with our beautiful high pile throw blanket. 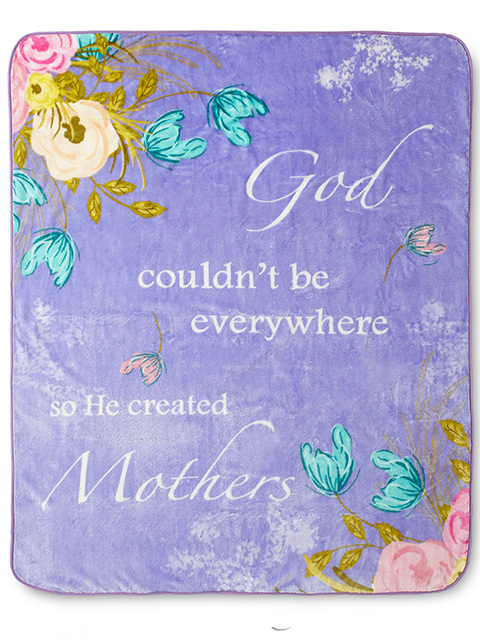 This beautiful lilac throw blanket is designed to send a message of love and gratitude to motherly figures of all types. Our 60 in. x 80 in. 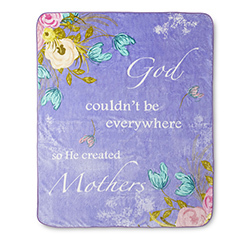 high pile throw features large, beautiful flowers on a textured light purple background with the words "God couldn't be everywhere so he created Mothers" across the blanket. Give the gift of cozy warmth to celebrate the mothers in your life.